Based on Albert Ellis' original ABC model and Richard Wessler's 8-step model, a new model of emotional disturbances is described. The new model attempts to express graphically some important principles of RET theory as well as its recent advancements and innovations. 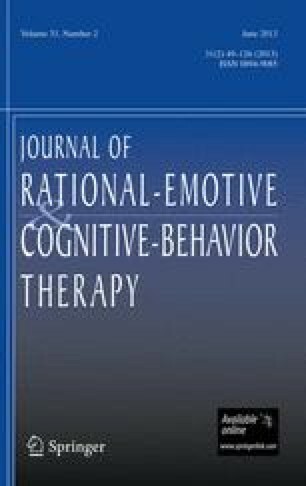 The clinical usefulness of the model, both in the assessment process and in planning therapeutic interventions, is discussed with particular attention to secondary symptoms of emotional disturbances. Cesare DeSilvestri, M.D., is an associate fellow and RET training supervisor of the Institute for Rational-Emotive Therapy, Executive Director and Director of Training of the Institute for Rational-Emotive Therapy (Italy), a guest-professor of clinical psychiatry at the Institute of Psychiatry, School of Medicine, State University of Rome, Italy, and is engaged in private practice in Rome and Milano, Italy.